Where children develop a lifelong love of learning. Your child was born curious about the world! Pinewoods creates an environment where learning is natural, and where your child will joyfully and effectively develop independence and self-discipline. Maria Montessori felt that children, given the right environment and opportunities to develop their full potential, would grow up into happy, responsible citizens -- not only of their local communities, but of the world. Pinewoods primary children sing, "Light a Candle for Peace" on World Peace Day! "I feel very lucky to have found Pinewoods and wish we had earlier." 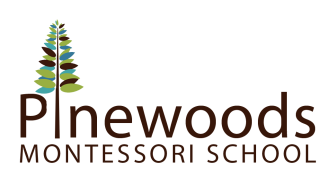 "I wanted my child to have an authentic Montessori learning experience, and Pinewoods Montessori has exceeded my expectations."